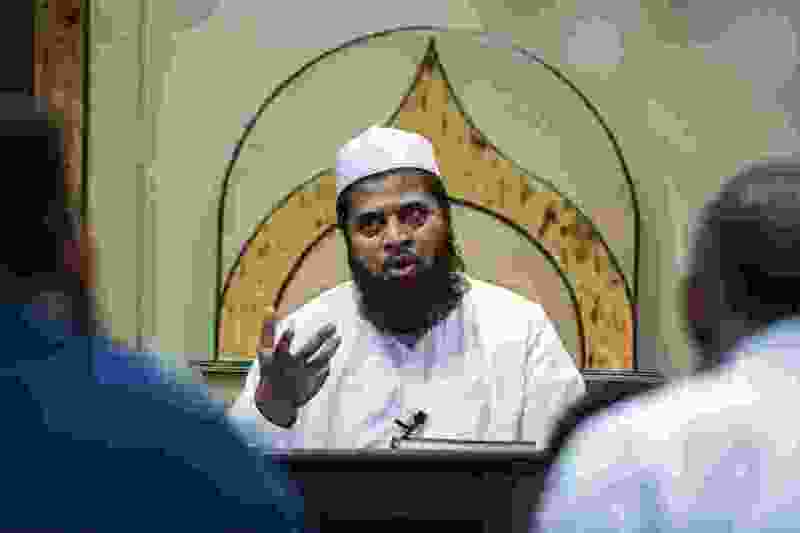 Chris Detrick | The Salt Lake Tribune Imam Shuaib Din leads study about fasting at the Utah Islamic Center in Sandy, Friday, June 3, 2016. Islam and Mormonism share some religious traditions. Both have histories rooted in a prophet. Both tout modesty and family values. And both embrace fasting and shun alcohol. As we approach the end of Ramadan, we explore those Muslim and Mormon ties with Shuaib Din, imam at the Utah Islamic Center, and Kristen Ullrich Hodges, a Latter-day Saint who last year organized an iftar, or break-the-fast meal, for her LDS and Muslim neighbors.